In the little red guide's home country, these are the establishments it deems to have "exceptional cuisine that is worth a special journey." Michelin has almost become as emblematic of the French fine-dining landscape as the cuisine itself. While today we may think of the guidebook as a comprehensive tastemaker, the Michelin Guide’s goal in 1900 when it launched was much simpler: to drive local tourism. At a time when there were fewer than 3,000 automobiles in all of France, the Michelin Guide was designed to highlight hotels and restaurants in such a way that would encourage motorists to make the trek- presumably wearing out their tires in the process. In 1926 the guidebook began awarding stars, and by 1936, Michelin had adopted its criteria for the tiered ratings. One star indicates a “very good restaurant in its category,” two stars translate to”excellent cooking, worth a detour,” while the coveted three stars mean a restaurant offers “exceptional cuisine, worth a special journey. Today, with 27 restaurants achieving Michelin’s top honor, France has more three-Michelin star restaurants of any country in Europe (globally, it trails only Japan, which has 34 three-star restaurants). And because Michelin inspectors have been weighing in on French restaurants longer than anywhere else, many of the country’s honorees have been holding onto their star-rating for decades. 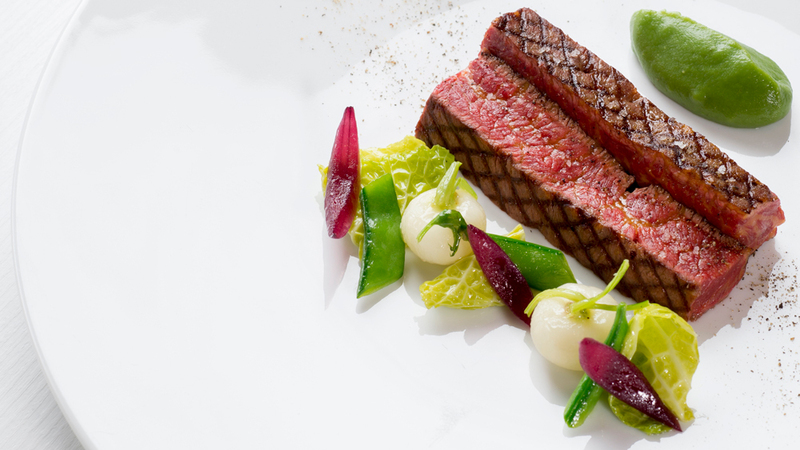 From Alain Ducasse to Régis et Jacques Marcon, here are France’s 27 Michelin three-star restaurants. “Fresh-picked” can be taken literally at Alain Ducasse’s Plaza Athénée, where everything from the Bonnotte potatoes to the baby fava beans are grown exclusively for guests and harvested the morning of diners’ meals. In 2014 the restaurant temporarily closed to shift its focus to all things eco-friendly under the leadership of executive chef Romain Meder. Initially upon reopening in 2015, Alain Ducasse au Plaza Athénée was demoted to two Michelin stars, only to quickly climb back to three in 2016. 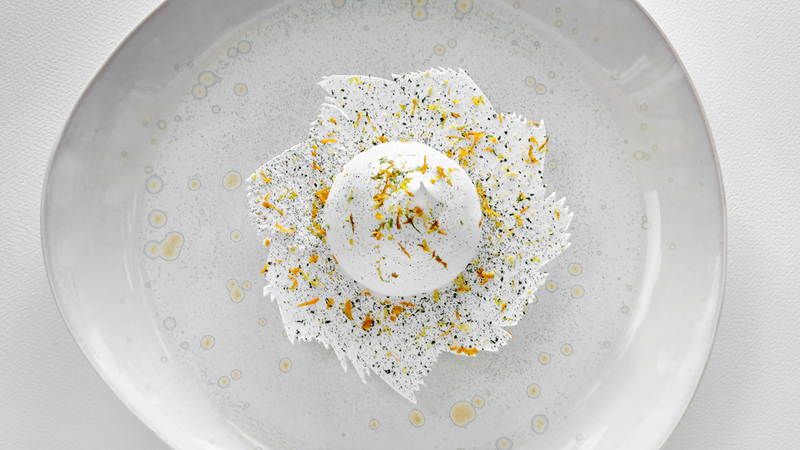 The restaurant’s natural-focused ethos extends from its pesticide-free produce to its simple preparation techniques and “fish-vegetables-cereal trilogy” philosophy which, Ducasse asserts, promotes a diet more in tune with nature and better for health. You’ll find traditional French fare on the menu, as well as dishes inspired by 7th century buddhist-influenced Shojin cuisine. Pavillon Ledoyen’s deep Parisian roots date back to 1842, when the restaurant was first erected in the Champs-Elysées’ gardens. While you can catch a glimpse of the original painted moldings and ceiling in the upstairs dining room, chef Yannick Alléno, who took over in 2014, brings a modern sensibility to the historic site, which earned the spot a third Michelin star just seven months after he started. Alléno’s pet technique for making sauces involves “extractions”. This entails first extracting liquids from ingredients and then reducing them using a technique called cryoconcentration, which involves a combination of sub-zero temperatures and centrifugal force. Diners can enjoy the fruits of this methods in dishes like a dessert that features a coffee-flavored fir-tree extraction jelly. Today, there are few chefs quite as influential as Alain Passard, but back in 1986 he was simply trying to fill his mentor Alain Senderens’ big shoes. That’s the year Passard took over Senderens’ restaurant Archestrate. Passard renamed his new venture Arpège, the French word for arpeggio, a name that like the establishment’s original name (which means orchestra en francais) pays tribute to his second love: music. Before arriving at Arpège, Passard cut his teeth at the Duc d’Enghien at the Casino of Enghien and the Carlton in Brussels, where he was awarded his first Michelin stars. Arpège earned its third in 1996 and has held onto them ever since—even after adopting a plant-centric menu in 2001. Guests can sample the signature dishes that put Passard on the map, such as his famous l’arpège egg—the hot-cold, hard-soft boiled amuse bouche you’ll now find tributes to at fine-dining restaurants around the globe, maybe most notably at David Kinch’s Manresa. 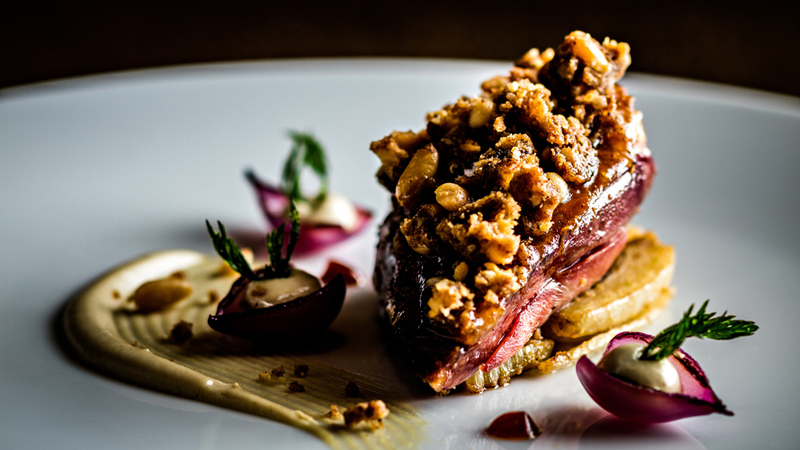 Astrance’s mere 24 seats makes it one of the toughest reservations in town. Before working in renowned restaurants (including a five-year stint in Passard’s Arpège), chef Pascal Barbot spent a year in the navy, where he cooked in destinations as far-flung as Tonga and Fiji. Barbot then opened Astrance and won his first Michelin star before his 28th birthday, and went on to earn his second star in 2005 and his third in 2007. Today the menu at Astrance is always a surprise, but Barbot describes his style as a marriage between the techniques and flavours he finds abroad and classic French cuisine. 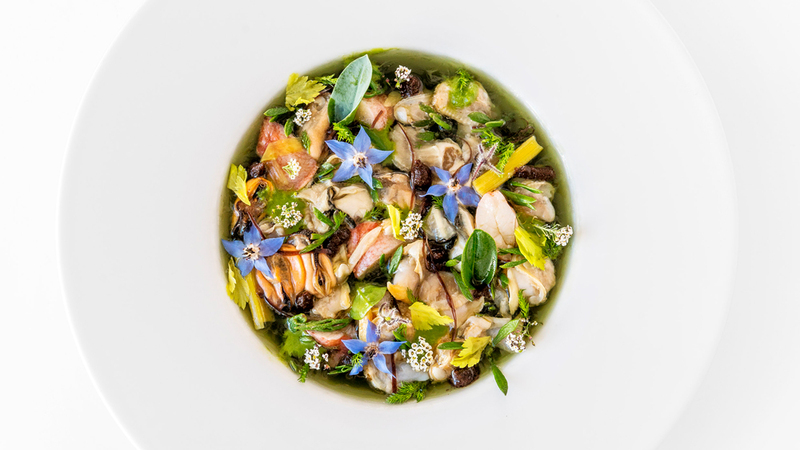 A new inductee into Michelin’s three-star club in 2018, the eponymous Christophe Bacquié at the Castellet Hotel has been praised for its modern Mediterranean-influenced cuisine that puts local produce front-and-centre. His specialty is le poisson, which he credits to working closely with fishermen in Corsica, where he learned the intricacies of preparing local fish species. “A real ode to the produce found in his region, Christophe Bacquié now offers very high-flying cuisine: vibrant with emotions,” says Michael Ellis, the Michelin guide’s former director. “Each dish creates a memory; a testimony to his creative talent, his perfect technical skills and maturity.” Chef Bacquié previously earned two stars at Calvi in 2007 and Hôtel du Castellet in 2010 after just two months at its helm. While many Michelin-star-winning chefs could be considered culinary royalty, Epicure’s chef Eric Frechon bears an additional, extra-official-sounding honorarium. He was decorated as a Knight of the Order of the “Légion d’Honneur” by Nicolas Sarkozy in 2008—just a year before he was first awarded three Michelin stars. The self-described “control freak” prides himself on his ability to elevate simple—even cheap—ingredients into Michelin-star-worthy fare. Though, there’s no shortage of decadence on his menu. You’ll find classic French cuisine, such as whole roast chicken cooked in a pig’s bladder (a signature dish) and black truffle, artichoke and foie-gras stuffed macaroni. 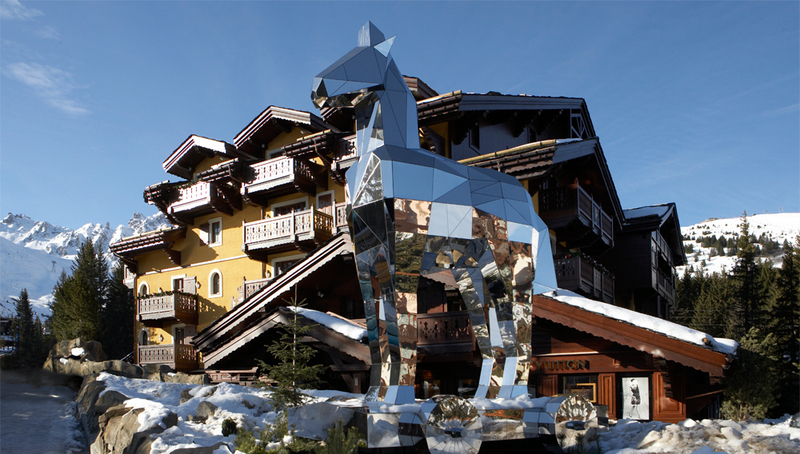 Nestled in the French Alps, Flocons de Sel offers a taste of the mountains. Chef Emmanuel Renaut scours the hillsides for herbs and mushrooms to adds to his dishes. He also takes a twice-yearly sojourn with award-winning cheesemaker Jacques Dubouloz through local farms and pastures in pursuit of the very best cheese. Just don’t expect to see fussily prepared cheese dishes at Folcons de Sel: When it comes to le fromage, Renaut is a purist. You’ll find all 20 of the menu’s hand-selected cheeses in their natural state. “I don’t like to cook with cheeses. I think it’s a waste,” he once remarked. Going on 38 straight years of three Michelin stars, Georges Blanc—both the chef and the restaurant—is a French culinary fixture. While Blanc sharpened his technique in restaurants in France and abroad (as well as during a stint as a military cook) it’s hard not to think that some of his talent might be hereditary. Three generations of cooks preceded him, including his grandmother, who was once named the “best cook in the world”, by a food writer. Blanc took the reins from his mother in 1968, before turning the family business into a luxury hotel in the ‘70s. Guy Savoy is almost as much a French institution as the iconic sites that surround it (namely, the Louvre, Pont Neuf and the Seine). Savoy’s signature style, which he perfected in the kitchen of the legendary Maison Troisgros, blends a reverence for the natural attributes of his ingredients, mastery of technique, and a dash of bold creativity, which you can taste in signature dishes, such as his artichoke soup with black truffle, ice poached oysters, and ‘open’ mille-feuille. In addition to holding onto his three stars since 2002, Guy Savoy has opened a number of lauded satellite restaurants, including a stateside version of Guy Savoy located in Vegas’s Caesars Palace. 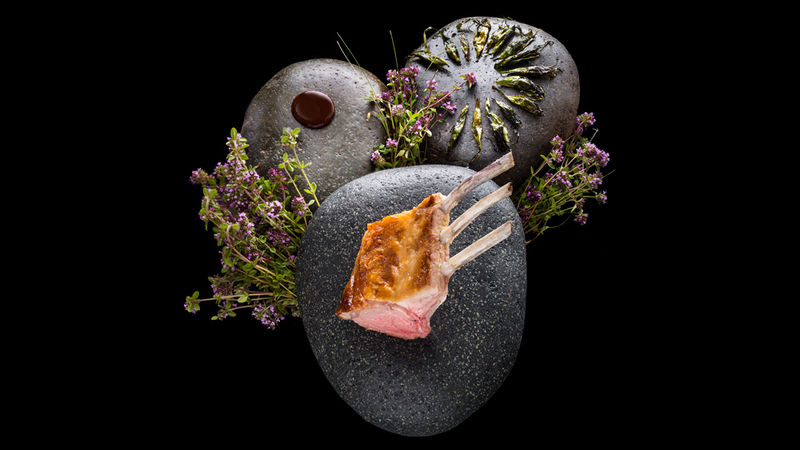 The cuisine of Guy Savoy. Courtesy Laurence Mouton. Abandoned by his parents and placed in an orphanage at 13, chef Bernard Pacaud found salvation in the kitchen of Eugénie Braizer’s Col de la Luère. The three-star-winning Lyonnais chef took Pacaud under her wing, providing him with both a roof over his head and a place to learn the craft. First nabbing his own third star in 1988, Pacaud has been holding onto the stellar Michelin rating for longer than any of Paris’s other three-star restaurants. 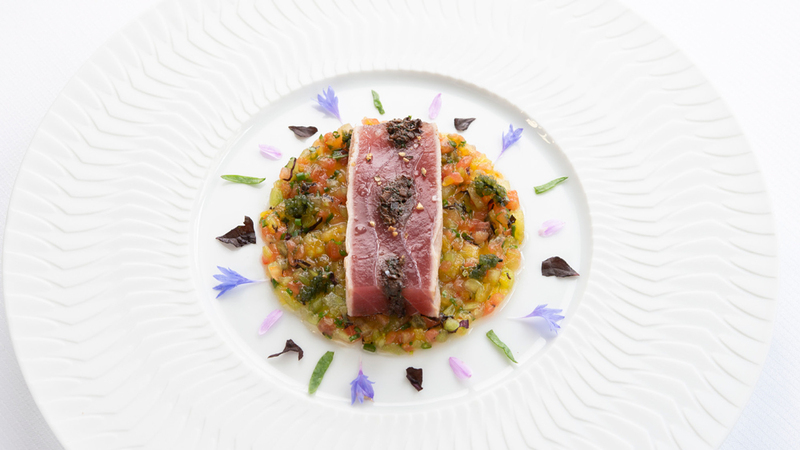 L’Ambroisie lives up to its name- which means “food of the gods”- with its lavish, stunningly plated dishes like sea bass and artichoke served atop caviar. And even if the gods don’t literally dine there, some pretty powerful mortals do: In 2015 presidents Barack Obama and Francois Hollande enjoyed a working dinner at L’Ambroisie. Chef Arnaud Lallement’s fate as a chef seems predestined. As a child, he watched his father Jean-Pierre, who ran the family restaurant starting in 1975. Then, after studying under culinary legends like Roger Vergé and Michel Guérard, Lallement took over at the helm in 1998. There, he won L’Assiete its second Michelin star in 2005 and its third in 2014. The menu boasts classic dishes (such as grated foie gras served over fois gras toast), as well as unique novel ones (milk-fed veal sweetbreads), but always with a focus on bringing out the pure flavours of the ingredients with just the right balance of acidity (Lallement’s mantra is “mangez vrais,” which translates to, “eat true”). And, as you’d expect from the region, there are more than a thousand champagnes in the cellar for you to sip with your meal. When you step into L’Auberge du Pont, you’re setting foot on hallowed grounds, thanks to the legacy of “the pope of gastronomes”, Paul Bocuse, which continues to loom large, even after the chef’s death in January 2018. 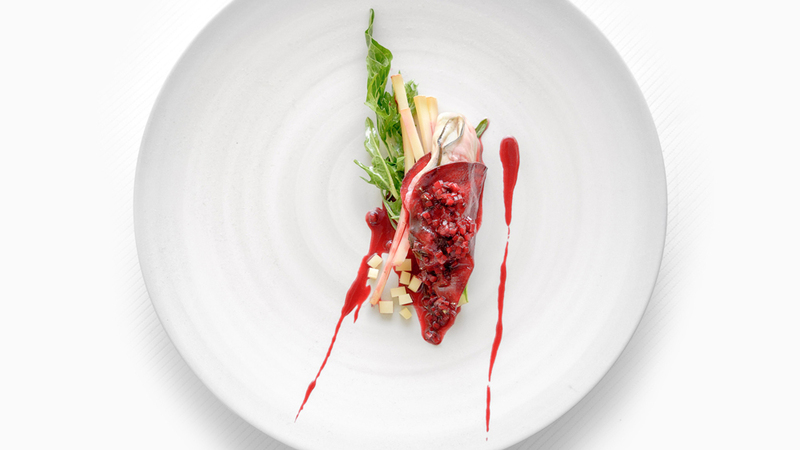 Bocuse has been credited with introducing nouvelle cuisine—trading the heavier elements of traditional French cooking for lighter, fresher ingredients and deliberately artful plating—and changing the face of fine-dining forever. 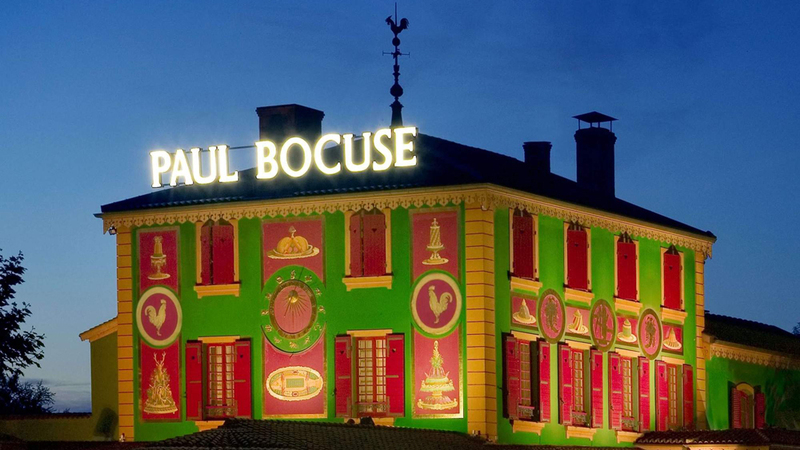 Bocuse took over the family-run restaurant in 1956, after honing his skills at La Pyramide. Two years later, he earned his first Michelin star in 1958, and was elevated to a second in 1960 and a third in 1965. Today, a trio of chefs, Christophe Muller, Gilles Reinhardt and Olivier Couvin, carry on Bocuse’s legacy at the flagship restaurant, where you’ll still be able to enjoy his quintessential dishes, like sea bass in puff pastry shell and black truffle soup. Outside Paul Bocuse’s restaurant. Courtesy L’Auberge du Pont de Collonges. Chef Gilles Goujon’s rise to Michelin stardom is the stuff of heartwarming movies. In 1990, he bought L’Auberge de Vieux Puits in the small village of Fontjoncouse for 34,000 Euro (£36,000), after its previous three owners had failed to turn a profit. For five years he struggled to attract diners. But his fortune turned in 1996 when he won the “Best Worker of France,” a prestigious award given out every four years to artisans in different categories. Shortly after, he snagged his first Michelin star in 1997. He won his second star in 2001 and his third in 2010. René and Maxime Meilleur, the self-taught, father-son chef duo behind La Boutte, have been cooking together since 1996. The pair’s cuisine pays tribute to the surrounding Savoie region, with ingredients like crozet pasta, raclette and Saint Martin goat’s milk, and first earned its third star in 2015. 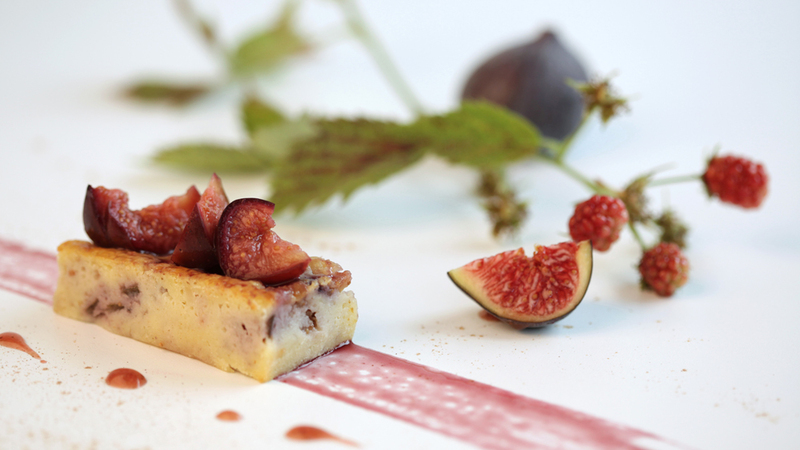 “The dishes are precise, generous and remarkably creative. “La bouitte” may mean small house in the local dialect, but the fare offered by René, Maxime and their spouses is of the highest calibre,” Ellis said when awarding La Bouitte it’s third star. Identifying primarily as a peasant, chef Marc Veryat is committed to showcasing wild botanicals and other pastoral gems from the region—with a few molecular gastronomic flourishes. On his nature-meets-science menu, you may see dishes like trout cooked in a spruce bark butter-style sauce (sans actual butter). “As a passionate botanist, Marc Veyrat enhances the Savoyard herbs and flowers he gathers from the wild, and combines creativity, authenticity and refinement to offer customers an unforgettable experience,” the guide’s director said. Holding onto its three-star rating for half a century, La Maison Troisgros—and the family dynasty behind it—has long been a driving force in French cuisine. In 1930 Jean-Baptiste Troisgros opened the restaurant near Lyon. Later, his sons Jean and Pierre took the reins, shaping it into the triple-starred establishment it is today with their nouvelle cuisine. Now Pierre’s son Michel runs the empire, alongside his wife Marie-Pierre and son César. César credits the restaurant’s continued success to his mother’s intuition (she’s pioneered much of Troisgros’s growth) and his father’s culinary sensibilities, which César describes as “tangy, vibrant, fresh, and measured”. Meanwhile, as the youngest Troisgros, César brings youthful perspective, flavors inspired by his travels through Spain and California (he also worked at Thomas Keller’s French Laundry), and “a thing for hot peppers”. 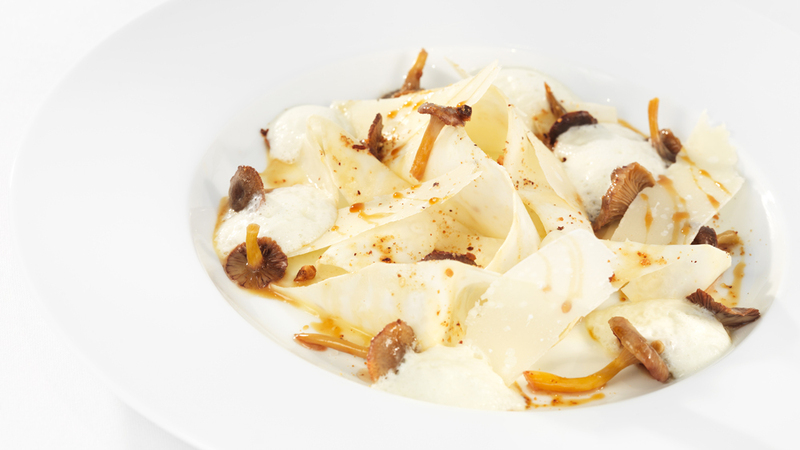 The dish he says most encapsulates the restaurant’s ethos today is the cosa croquante: a salad made with shaved carrots that have been lightly fried and seasoned with herbs from the family garden. Arnaud Doncklele’s impressive resume includes apprenticeships in the kitchens of Alain Ducasse and Michel Guérard, so it’s hardly a surprise that the young chef achieved three Michelin Stars by the time he turned 35. 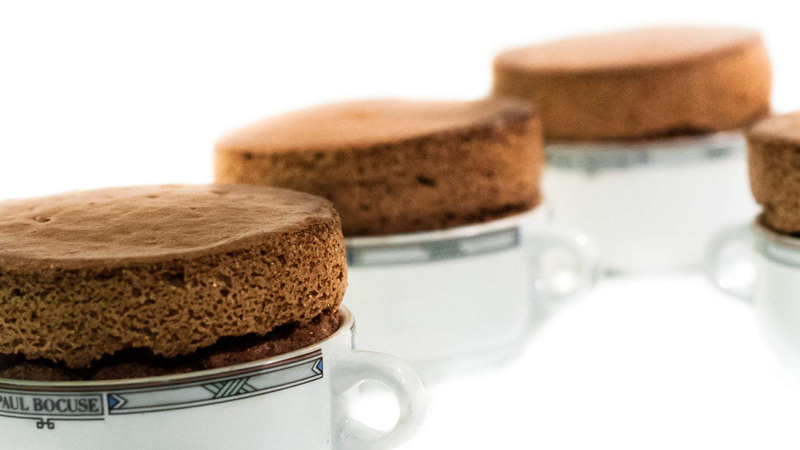 La Vague D’Or offers three tasting menus, including the seven-course “Balade Epicurienne” for adventurous diners and a five course vegetarian option. There’s also two à la carte menus: one inspired by land and one inspired by the sea—which happens to be within view of restaurant’s umbrella-lined terrace, by the way. Yannick Alléno has performed the chef’s equivalent of a hat trick, having earned three triple-star Michelin restaurants over the course of his career. Ten years after his three-star win at Le Meurice, and three years after earning three stars at Pavillon Ledoyen, Michelin awarded him stars for Le 1947 at Cheval Blanc in 2017. 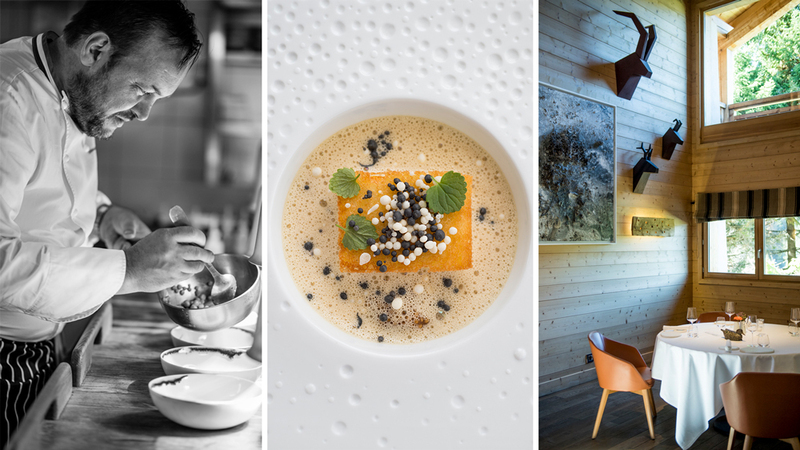 The Alpine outpost’s sleek, modern surroundings—which include a perforated sphere through which diners can watch the chefs work—set the tone for the nine-course menu that puts a creative spin on French cuisine. Le 1947 is named after Château Cheval Blanc’s most renowned vintage and aims to provide guests with an experience just as covetable. From within the Four Seasons Hotel George V, chef Christian le Squer combines nostalgic French flavours with ambitious new techniques. “My cooking is like a Chanel suit worn over a pair of jeans,” he once said. You can taste this amalgam in dishes like his Parisian-style gratinated onions or line-fished sea bass served with caviar and buttermilk (a nod to growing up near the Morbihan sea in Brittany). “His signature is all over the superb dishes, mastered to perfection and demonstrating exceptional skills and a deep knowledge of the very best produce,” Ellis said when the 2016 Michelin Guide was released. 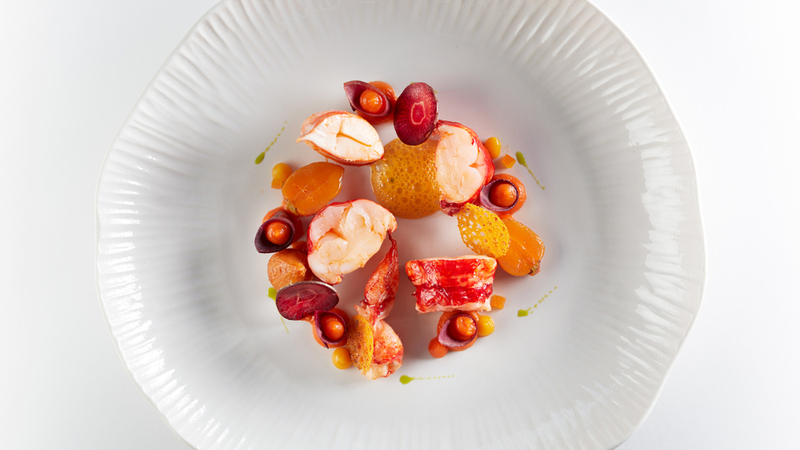 “Each of Christian Le Squer’s dishes is a true work of art, a shining example of the best of French gastronomy.” Prior to racking up stars at Le Cinq in 2016, Le Squer enjoyed 12 consecutive years of three-star glory at Pavilion Ledoyen. Baba au rhum, creme mi montée. Courtesy Pierre Monetta. Chef Gérald Passédat says he inherited his taste for beauty and appreciation for things well done from his family of artists and chefs, while he honed his technique in the kitchens of the Troisgros brothers and Michel Guérard. It all came together in 2008 when Le Petit Nice first ascended to three stars. Passédat’s cuisine leans heavily on the abundance of fish in the sea the restaurant overlooks. In a year, he estimates at least 65 different Mediterranean species make their way onto his plates. An updated take on classic bouillabaisse, anemone fritters, seafood carpaccio and a delicately prepared sea bass named for the chef’s opera star grandmother are a few of the signature dishes that grace Passédat’s menu. The cuisine of Michel Guérard. Courtesy Yoan Chevojon. If one were to erect a Mount Rushmore of French gastronomy, Michel Guérard’s inclusion would be a foregone conclusion. One of the so-called founding fathers of French nouvelle cuisine, Guérard got his first taste of Michelin stardom at Pot-au-Feu, which won its second star in 1971. He opened Le Prés d’Eugénie in 1974, and his cuisine was awarded its first star almost immediately, with a second star arriving in 1975 and a third following in 1977. Today, he’s focused on balancing the hedonistic delights of food with healthy eating. This Burgundian restaurant has been a gastronomic institution since Michelin’s inception. It appeared in Michelin’s very first guide in 1900 and earned its first star in 1926. Maison Lameloise enjoyed its first three-star streak between 1979 and 2004, which picked back up again in 2007. Many of the restaurant’s most successful years occurred under Jacques Lameloise, who took over from his father in 1979. In 2008, Lameloise passed the torch to then up-and-comer Eric Pras, who has kept its three-star rating going strong ever since. 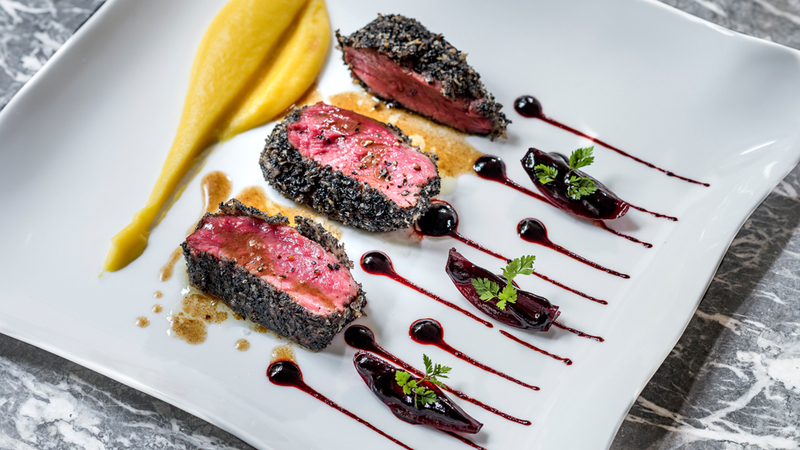 Pras has made his mark on the mainstay’s menu with technically precise dishes that put a fresh spin on Burgundian cuisine. 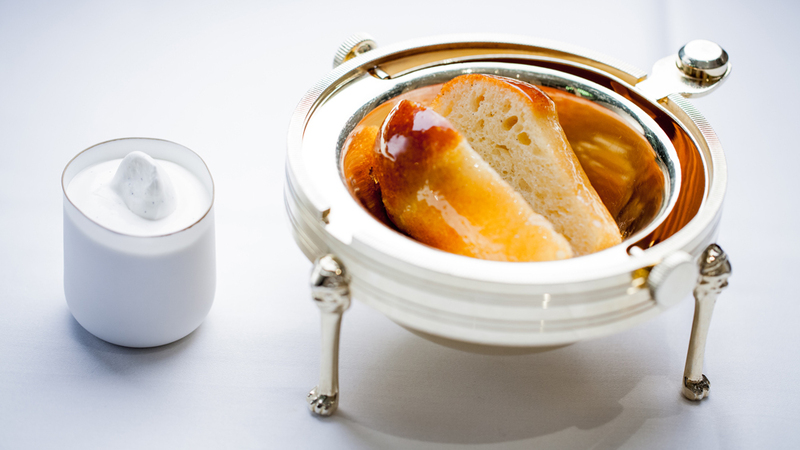 Pic’s Michelin-star-studded history dates back to the early 20th century. 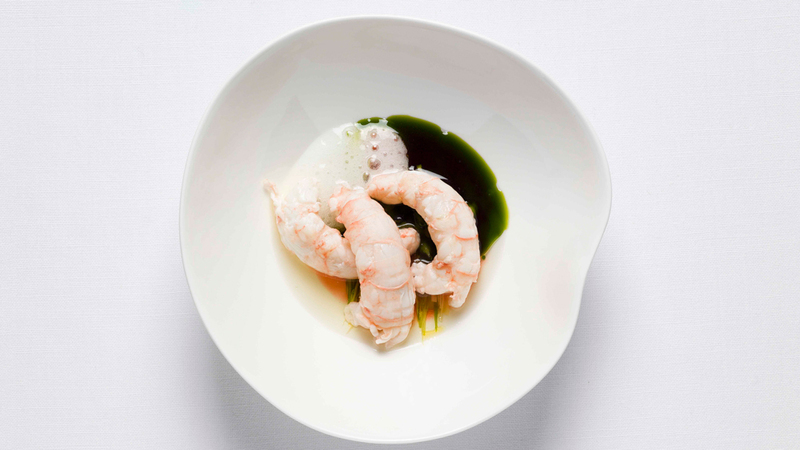 Andre Pic opened in Valence in 1935 and earned three Michelin stars by 1939. Later years proved to be rockier, with the restaurant dropping to two stars in 1946 and to one in 1950. Under the leadership Andre’s son Jacques, Pic ascended again to two stars in 1959 and three in 1973, before falling back to two in 1995, just a few years after Jacques’ death. Then, Jacques’s daughter, Anne-Sophie, took over the illustrious dining spot in 1998 with no formal training. Less than a decade later, chef Pic, the only woman in France with three Michelin stars (and just the fourth woman ever to receive the honour), restored Pic to three-star glory in 2007. She describes her cuisine as simple, sophisticated and pointedly feminine, which you’ll see reflected in the menu, as well in the decor. “All my emotions are feminine, so I have this feminine way in my cooking. I think some men are able to make very feminine cuisine, but they are perhaps more focused on technique, less on developing the emotional part,” she told CNN in 2012. Credited with pioneering the French fusion movement, Pierre Gagnaire’s philosophy in the kitchen is, “tourné vers demain mais soucieux d’hier”—or “facing tomorrow, but respectful of yesterday”. His own culinary past is a mix of formal training and familial connections. 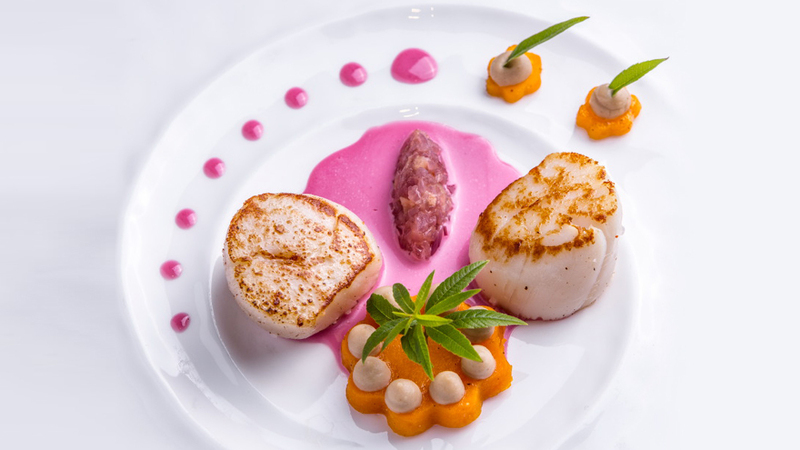 Pierre Gagnaire learned the ropes from his Michelin-star-winning chef father, as well as in the kitchens of the highest calibre French chefs of the era, including Paul Bocuse. Gaugnaire took these lessons and started his own restaurant in his hometown of Saint Etienne in 1980, which received three Michelin stars in 1993, but struggled financially. Then, in 1996, Gagnaire opened his eponymous establishment. By 1998 he had his three Michelin stars again. Named after the father-son team that runs the restaurant, Régis et Jacques Marcon offers a seasonal taste of the Haute-Loire region—with a special reverence for the local mushrooms (Régis has even written a book on his beloved champignons). Régis took over his family’s inn in 1979, eventually molding it into the restaurant it is today. He earned his first Michelin star in 1990, his second in 1997 and his third in 2005, just a year after his son, Jacques, joined him in the kitchen.